While Verizon Wireless may have been busy in recently with the new Droids it has launched, there looks to be more hardware heading the carriers way as the Kyocera Hydro Elite reaches FCC which must mean a release is imminent. A while back now a leaked image showed us that such as device was on route to US carrier Verizon Wireless, and now a FCC filing backs that up with the device being listed as the Kyocera C6750. 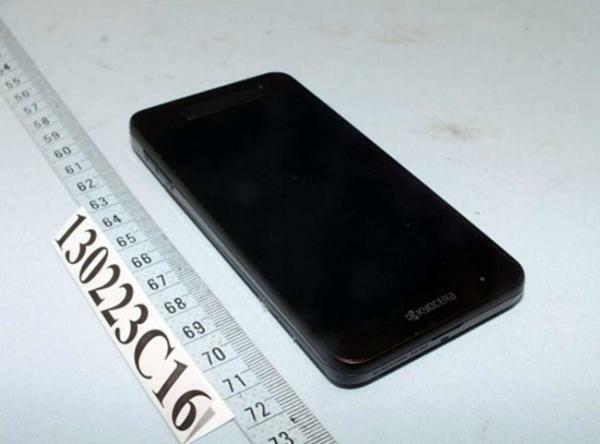 The FCC also provided an image for the device and all the details match up with previous leaks about the handset. It is thought the device will be a true world phone offering support for CDMA and LTE along with the GSM/WCDMA 850/1900 radio bands. There are also of course such things you would expect such as Bluetooth and Wi-Fi connectivity. Some other interesting features of the Kyocera Hydro Elite is the possibility of the device being waterproof, and the FCC filing also includes what seems to be a version of the user manual for the device. This doesn’t give away much information about the device though except the Kyocera and C6750 names, but it does mention a little bit about the handset being waterproof which will be a nice added feature for the mid-range Android Jelly Bean handset. Until we get some solid information from Verizon themselves we will just have to wait for the next leak about the device.